Florida’s manufacturing industry jobs growth is tops again! Florida’s advanced manufacturing industries are diverse and include sectors producing intermediate and finished products ranging from plastics, to tortillas, to motor vehicles. 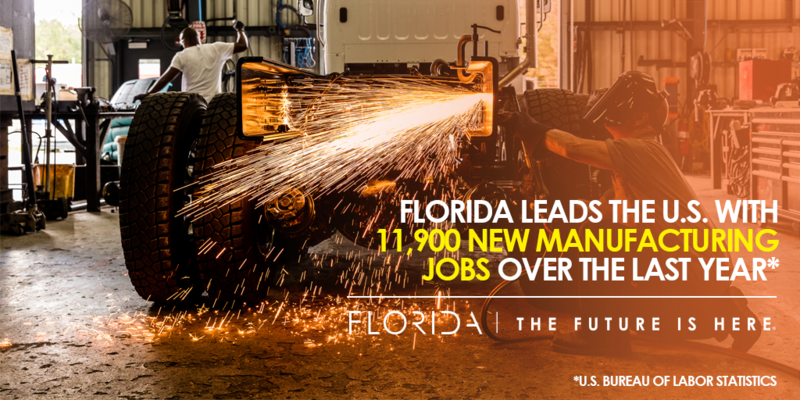 In total, Florida is home to over 19,000 manufacturers employing more than 331,000 workers. These strong industry assets can help your manufacturing business ramp up fast in Florida.